We are committed to operating in a completely transparent and open manner. Our Annual Accounts as well as a number of policies can be found below. 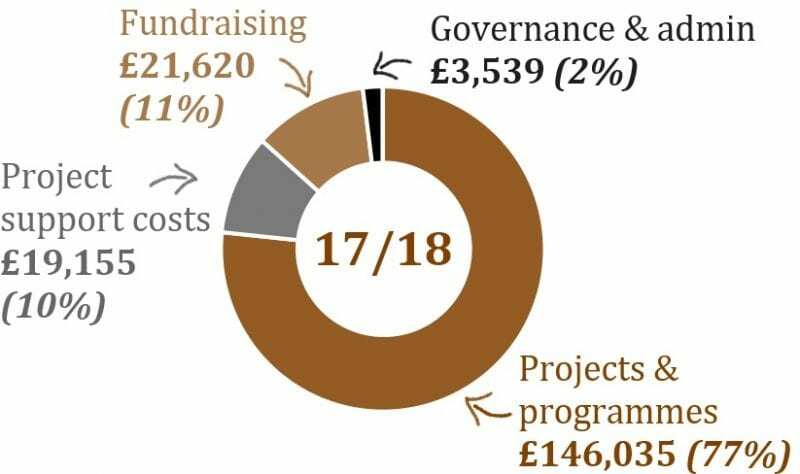 Our accounts for 2017/18 show income for the year was £197,834 (2016/17: £145,154) against expenditure of £190,509 (2016/17: £218,611). 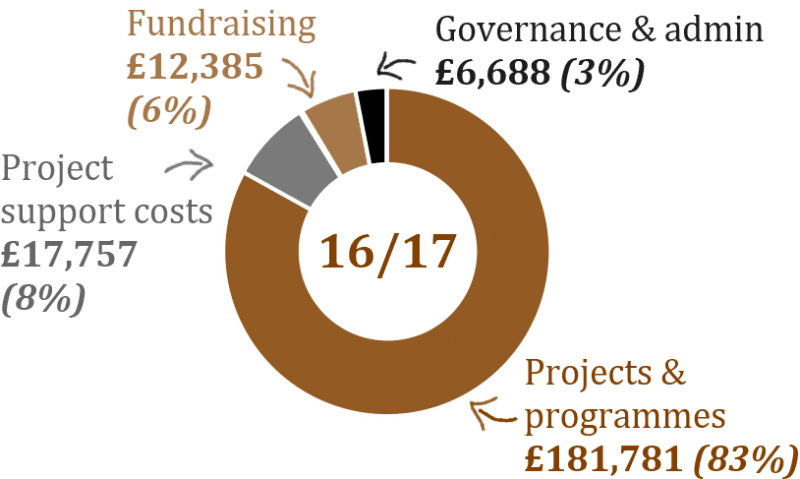 The year closed with total funds of £82,179, of which £16,714 was in restricted funds and the remainder in unrestricted funds. Expenditure on charitable activities accounted for 87% of total expenditure; governance and administration just 2%. The policies listed below are all of interest to either the general public, our donors and supporters, regulators, partners and beneficiaries and we have therefore made them publicly available. Other policies relevant to current staff and Trustees only have not been made publicly available. If you would like a PDF or Word version of any of the above policies then please get in touch and we will be happy to provide you with a soft copy. What is your reserves policy? The Trustees aim to keep reserves of equivalent to 3-6 months running costs. This does not include the cost of on-going programmes such as the feeding programme and teacher salaries. How do you protect against currency volatility? As the majority of our expenditure is in Kenyan shillings, our budgets are particularly susceptible to fluctuations in exchange rates. In recent years we have adopted a policy of currency ‘hedging’ in order to minimise the impact of volatility in exchange rates and to help us better forecast the costs of our projects and programmes when translating from local currency into sterling terms.